Memoris, the first chronograph-watch, lights up the stars. This limited edition marks the start of a series of commemorative pieces dedicated to the bicentenary of the invention of the chronograph. 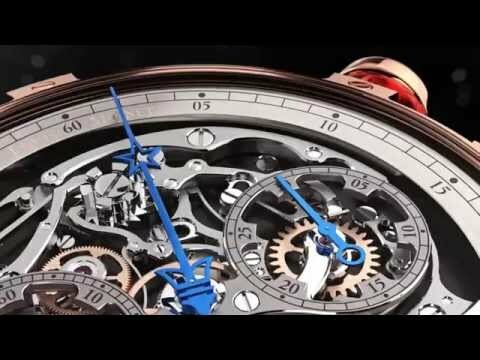 The “Memoris 200th Anniversary” uses a fixed graver engraving technique that is unprecedented in the history of watchmaking. Each star is worked on individually; never before has there been a starry sky with such a natural sparkle. The idea is to combine the power of the rose engine with the precision of a handheld graver. The result differs from that produced by milling or stamping: while it resembles the effect traditionally associated with a guillocheuse inasmuch as material is removed, here this is focused on a tiny area with varying levels of depth – two characteristics that traditional engine turning seeks to avoid at all costs. What is more, individual stars are all fashioned to feature different angles and depths, so that each and every one captures as much light as possible. Several fixed graver sessions are required per star. The process used is unprecedented in watchmaking – and the outstanding result gives the novel impression that certain stars really are shining. Using it in translucent dark blue on the flange of the new Memoris adds an exclusive sense of depth, whereas an opaque flange would have ‘locked down’ the timepiece.